« It is difficult to mourn a pet clam. 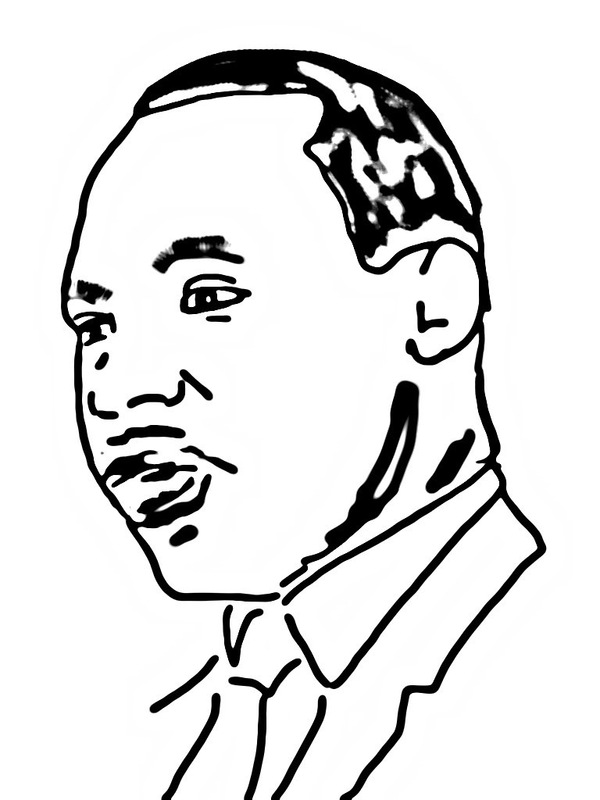 Martin Luther King, Jr. Birthday– Growing Up Outside D.C.
My Not Very Good Depiction of Martin Luther King, Jr. I grew up just outside Washington, D.C. I don’t want to reveal exactly how decrepit I am, but let’s say that I have pretty clear memories of what some consider the halcyon days of this country, that is, the years pre-1968. They were really not all that halcyonish. But there were other aspects to these times. In my little suburban town, for example, virtually all of the African Americans lived on one run-down road, in wooden broken-down houses, in very conspicuous poverty. Of course, there were African Americans who were much more prosperous, but they did not seem to live in my town. It is hard to imagine what kinds of expectations kids living on that road had. Certainly, from the back window of my parents’ car, which, until the desegregation of local schools, was my main view of that road, life looked very difficult. Then came Martin Luther King, Jr. Listening to him was like listening to Prometheus–someone who held the secret of fire–someone who was aflame inside–someone who with that fire and flame would bring true change to humankind. In an age of hype and spin and bloated political correctness and rabid anti-political correctness, it is difficult to understand how revolutionary and inspirational King was. Here’s to him today. This entry was posted on January 16, 2012 at 7:30 pm and is filed under iPad art, news, Uncategorized. You can subscribe via RSS 2.0 feed to this post's comments. Amen. I attended the Poor Peoples March on Washington and heard him speak back in those only semi-halcyon days–a memory I cherish. The challenges today are crazier, more complex, less , if you’ll excuse the phrase in this context, black and white, but I still believe a really inspired leader, like Dr. King, would make a huge difference. The problem is, so many of them seem to die before their time here. Well, I just pray there won’t be more deaths like that. I remember the horrors of 68 so well–so shocking, so sad. I disagree with you about the drawing: I think it a very good depiction. Interesting point you raise re unhappy marriages. I definitely subscribe to the idea that chasing happiness does not bring it. It comes when you are in pursuit of some other worthy goal. So the motives for parting or not would seem to be all-important. Generally, an excellent post. Fascinating throughout.